I'm new to gardening but I have put in a ton of hours towards research and I'm extremely excited to get started. This will be a huge project for me as I am a quadriplegic but I have help and I am no stranger to uphill battles. Today, my 32 x 32 x 63 grow tent arrived which has me totally stoked and I was able to complete my order and receive shipping information for my lights, nutrients, pH tester, pH up down, cal mag, rockwool, battery-operated liquid transfer pump, four 3.5 gallon buckets with 6 inch net basket with 12 inch lid, indoor outdoor digital hydrometer with probe, timers, seed starting kit and tray and then made a trip to Walmart and picked up a 12 pack of quart size bigmouth Mason jars which my 14-year-old daughter graciously painted with black chalkboard paint which will keep the light out. I don't know how to tag but if I could I would tag Hog leg who has been amazing and sent out 18 different samples of seeds which I am very excited about beginning work with once they arrive! My plan is to start small and slow with 2 plants and once I get the hang of things and really start feeling comfortable I will get a much larger tent and begin more projects. I am super grateful for this new project and for all of the people that came before me that I am able to learn the burn from! 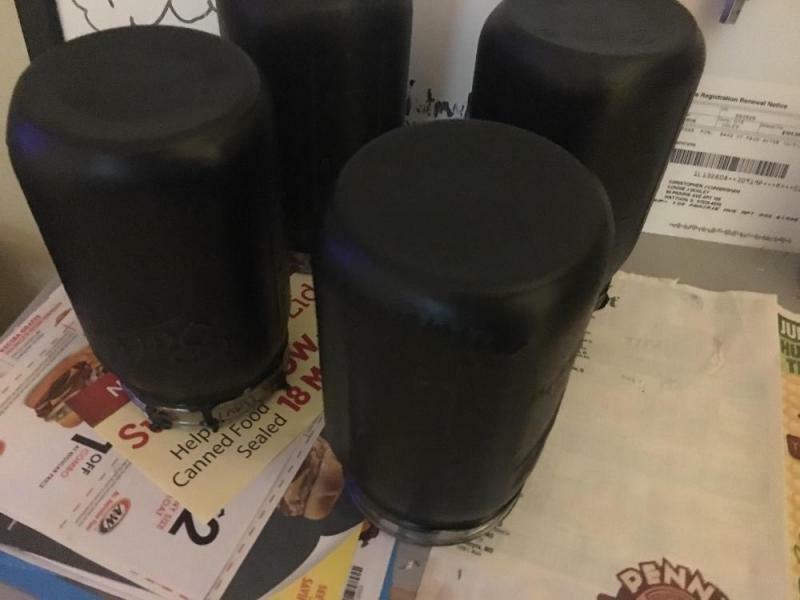 I will start out my glog with a simple picture of the Mason jars my daughter has been working on for me and once things start arriving I will continue updating with pics and video. Edited by QuadPepperEater, 31 August 2018 - 10:19 PM. I like the "start with 2 plants" comment. Will see how long that lasts for. Do update us with the varieties that you are growing. I am a new grower too. I started this year with jalapeños, thai chilli and bhut jolokia ( 2 plants each). Next year I will expand the varieties. Very nice project, enjoy the growing! hi Chris, good luck with your first grow. 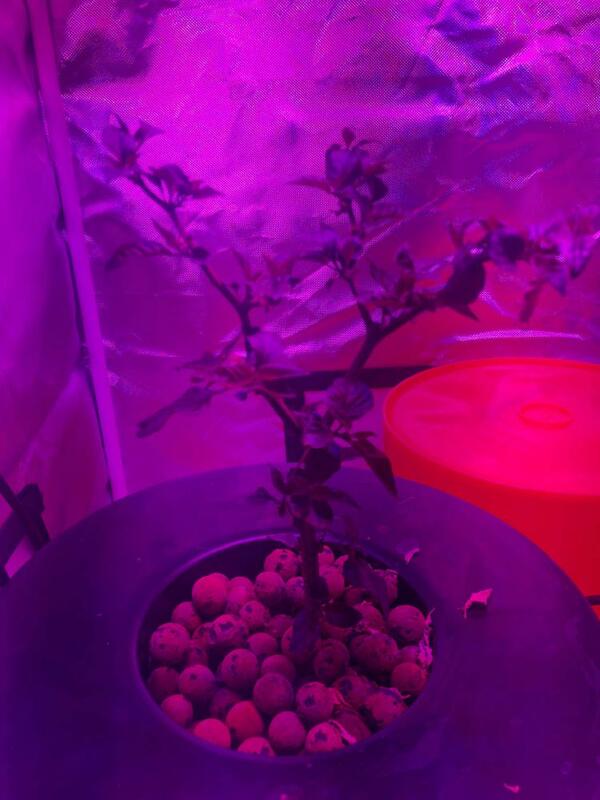 i`m in my second year of growing. last year i had five plants and this year i have ten. it`s very addictive. your daughter did a great job painting the jars but i`m not familiar with hydroponics so i don`t know what the jars are for. can you tell me what they are used for? also, what will be your first two plants? Basically the quart size largemouth is the perfect size container to house a 3 inch net pot which will contain rockwool and Hydroton containing seedlings once they are mature enough and roots are developed. 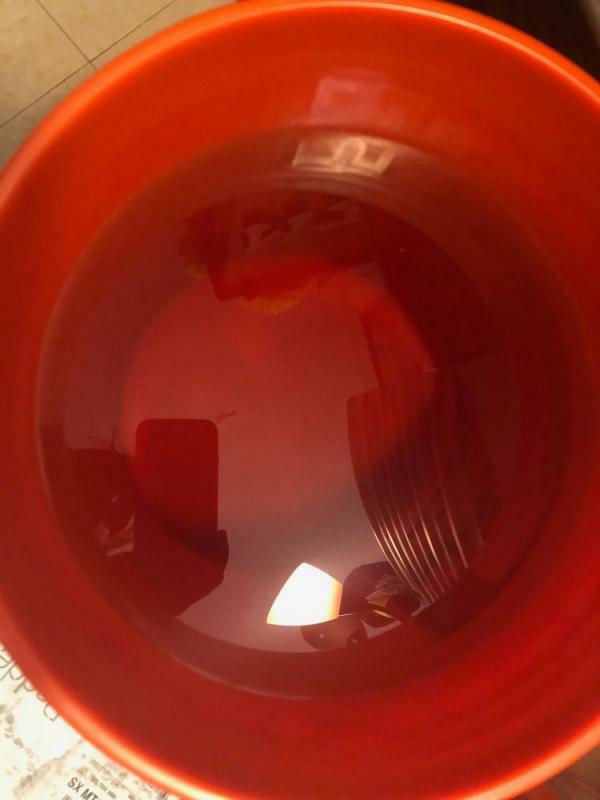 I'll be using Flora series nutrients and will fill the jars to just above the bottom level of the net cup until roots pushed through the bottom at which point the solution will be decreased by a inch or so to allow oxygen to the roots to keep the plant from drowning. The black chalkboard paint on the jars is to block the light from being in contact with the water so as to cut back on the risk of algae growing and choking out the roots. Hydroton will be placed over the rockwool as an attempt to do the same thing. I'm a beginner and I'm sure I will make mistakes but this is how we learn and hopefully with all of the knowledge here and elsewhere, I will be able to find success! 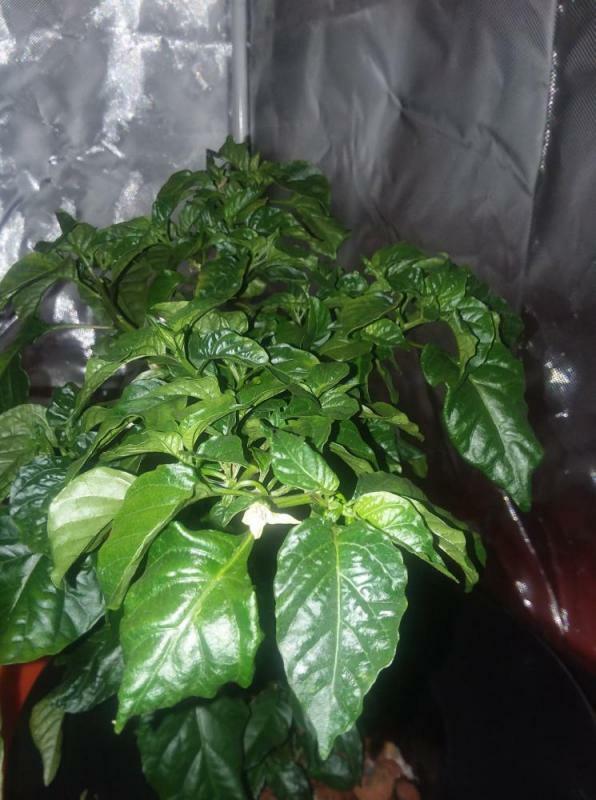 As far as what I will grow 1st, I'm still going back and forth between the abuht Jolokia and Moruga scorpion and would love to work with some type of habanero. Was considering orange but would like to do something a little less common to my neck of the woods. 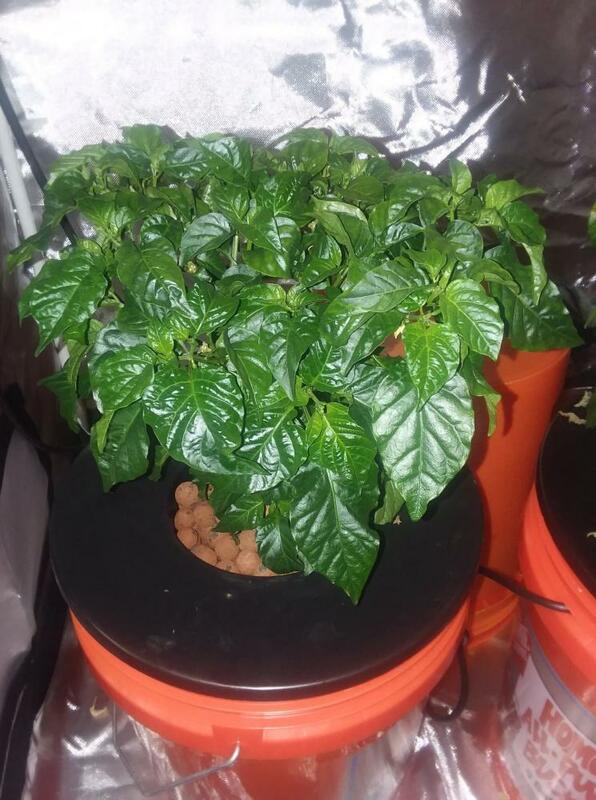 Maybe white habanero if I can get the seeds. those sound like great 1st choices for your first plants. 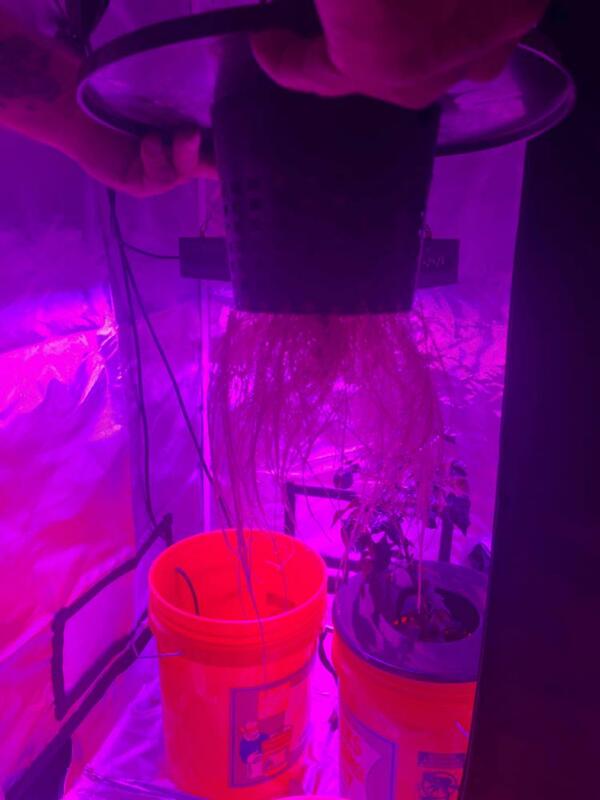 i`ve seen some great successful grows here with hydro so i`m sure you will do well with it. maybe some day i will try it. 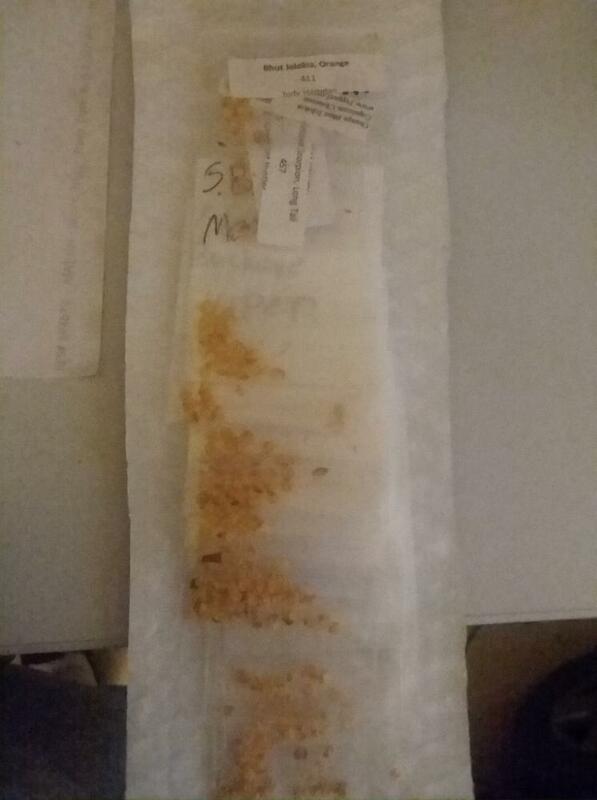 Just received my seeds from a very generous member. Thank you hogleg! Good luck with year one! 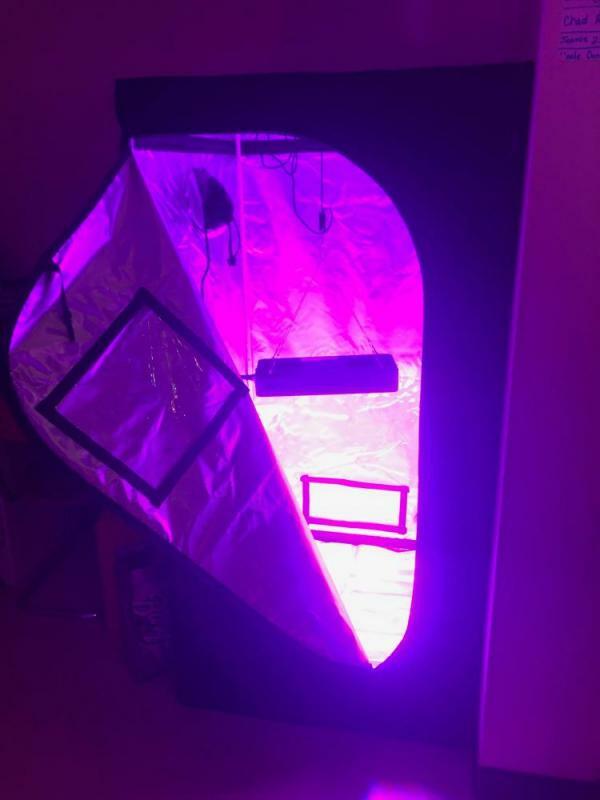 Grow tent and lights are up, nutrients are mixed perfectly at 6.3 pH straight from the tap and live Bhut Jolokia plants will arrive tomorrow! Also going to start some chocolate habanero seeds today. The temperature inside of my tent is 86° and I'm wondering if I might need a fan inside of their? So my Bhut Jolokia plants arrived about 3 weeks ago and they were nearly dead after being in a box for 6 days after a mixup with the Postal Service. 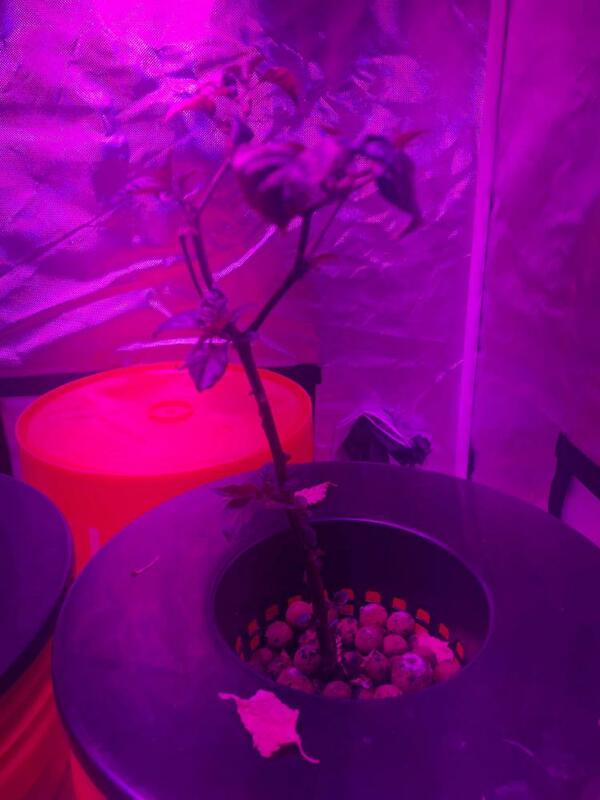 We transplanted them into separate DWC systems inside of my grow tent and within 2 days every single leaf on the plants had fallen off but I am happy and proud to say that they have grown back very quickly and very beautifully! They have also produced air routes that are sticking out of the sides of the baskets at least 4 to 5 inches long! I can't believe how much growth and how these plants have reestablished themselves in such a short amount of time! sounds like a good start! good luck on your first year grow! Yeah these plants are nice and hardy, glad they bounced back so quickly. It also shows you're providing the right environment for them, well done! hey chris, how many plants will that tent fit? maybe 3? 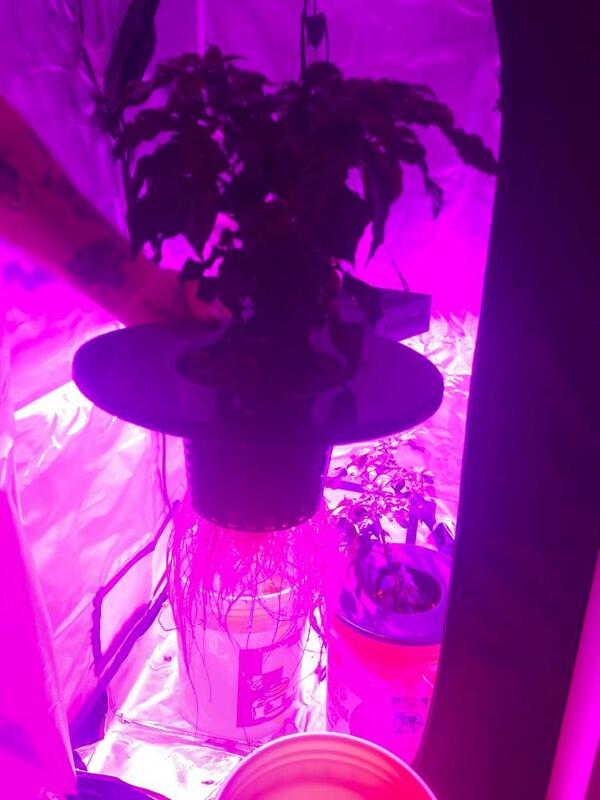 i grow outdoors in containers because i have no land for an in ground garden and last year i started with 5 peppers and this year i grew 10. my wife and i plan to get 3 or 4 tomato plants and end up with a dozen and its the same with peppers. when you have some success you want more and more LOL. This 1 will fit 2 to 3 fully developed pepper plants but you can get larger dimensions and the price stays really low on these tents. I've been following instructions from Peter Stanley and Khang Star and to me it seems pretty full proof. I'm getting ready to move into a two-bedroom apartment and am already planning on upgrading my tent size to accommodate the space from the soon to be extra bedroom. What a difference a week makes! 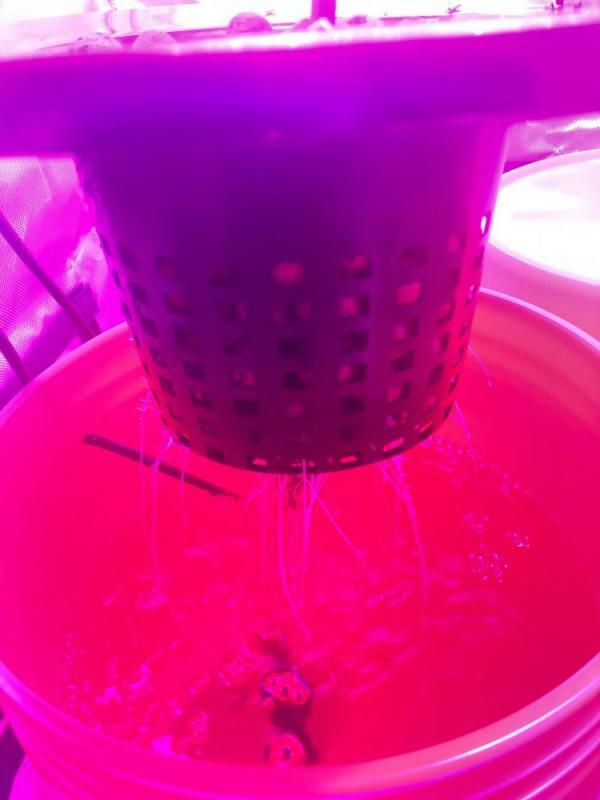 Unbelievable progress in my DWC systems! 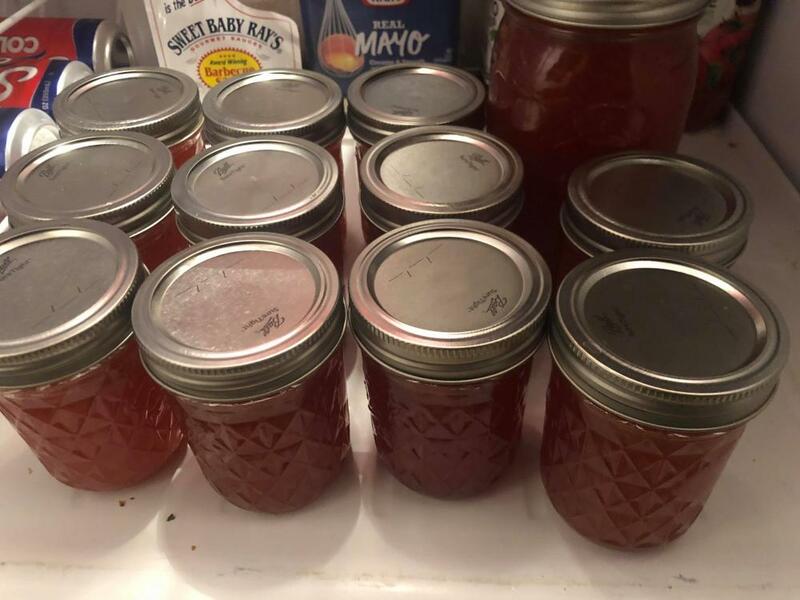 My daughter and I also made a large batch of jays peach ghost/reaper/strawberry jelly which is delicious! Those are some very healthy looking plants, look at that lush green! I hope that the first wave of flowers will already give you lots of pods!